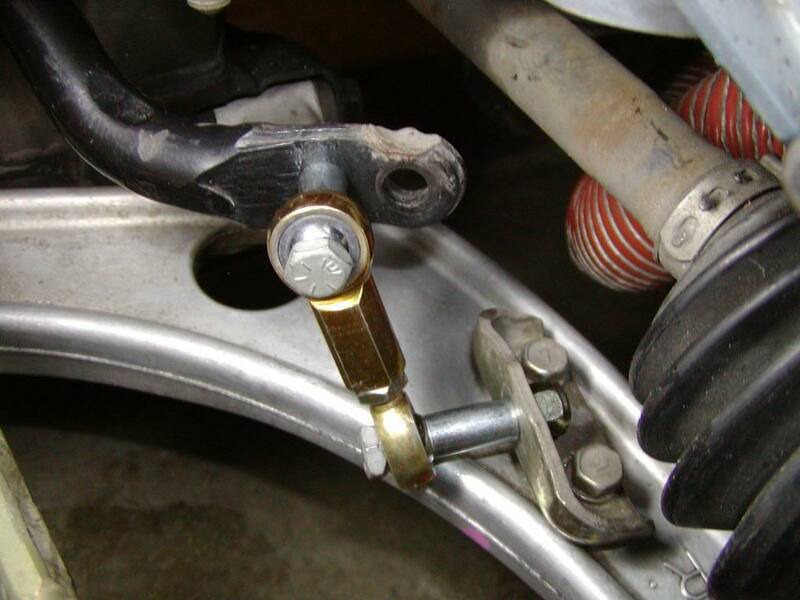 Make your front sway bar adjustable. 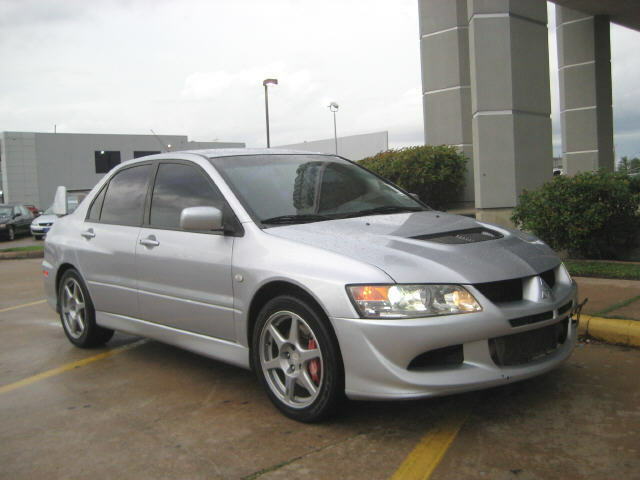 Evo How To Requests / Questions / Tips If you're looking for a how-to on something, ask in here. I'd like to give this a try in conjunction with an aftermarket rear bar. Instead of spending money and spending all the time and effort putting the front sway bar, I'll just drill two holes. I'd probably get some beefy endlinks though. It seems like it may cause some extra stress on the stock endlinks. jebjkey, post back when you get results. I'm really looking foward to seeing if this helps with body roll. I drilled the front so that they were both equal distance to the new hole, I did not have to flatten out any part of the sway bar. The flat part on each side of the front sway is a different size (kinda odd if you ask me) which is why it looks like there is plenty of extra flat area in this picture. 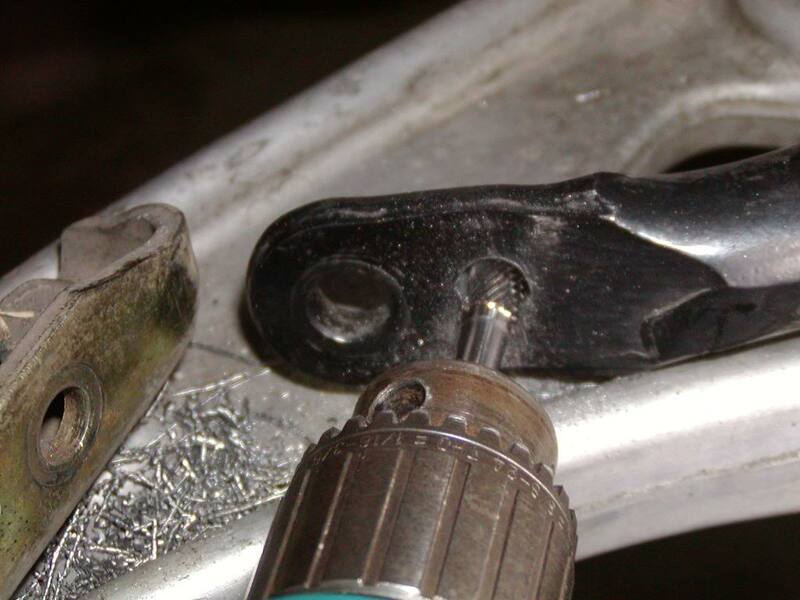 For the rear sway I drilled the hole further back and then grinded flat enough area to bolt the endlink correctly. 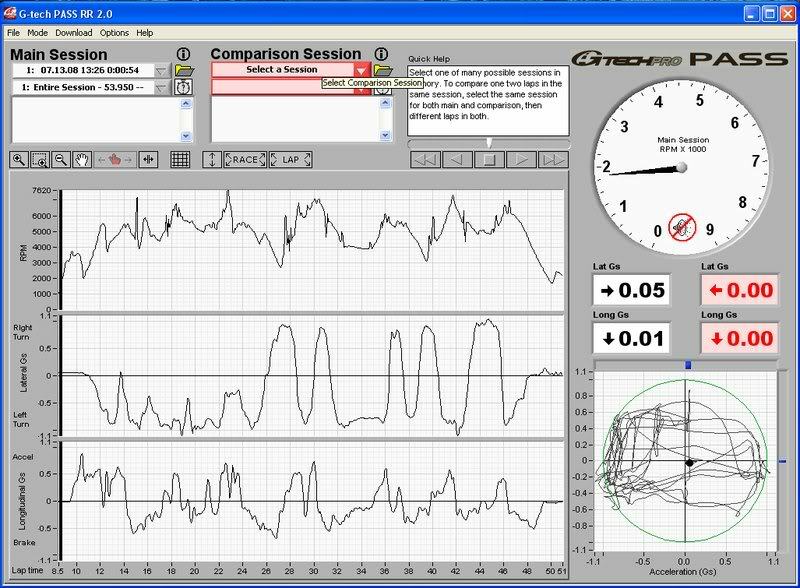 Here are screen shots from auto-x runs before and after drilling the sway bars and swaping the front camber bolts for -2 degrees of front camber. Although the cone track was different, they were both at the same place so the surface is identical. You can see that the average g's are higher after the modifications. I am not really sure that with the drilled sway bars alone you will see a marked change in how much the car leans in the turns. I am sure that it leans less, but it is hard to tell going around the track in the car, I am paying attention to the track, not the suspension. At some time I hope to put some stiffer springs on the car, but that costs a lot more than a few drill bits sacrificed for better handling. It is all up to when my wife will approve the funding for the springs. Last edited by jebjkey; Aug 9, 2008 at 03:48 PM. Anyone add the poly bushings? 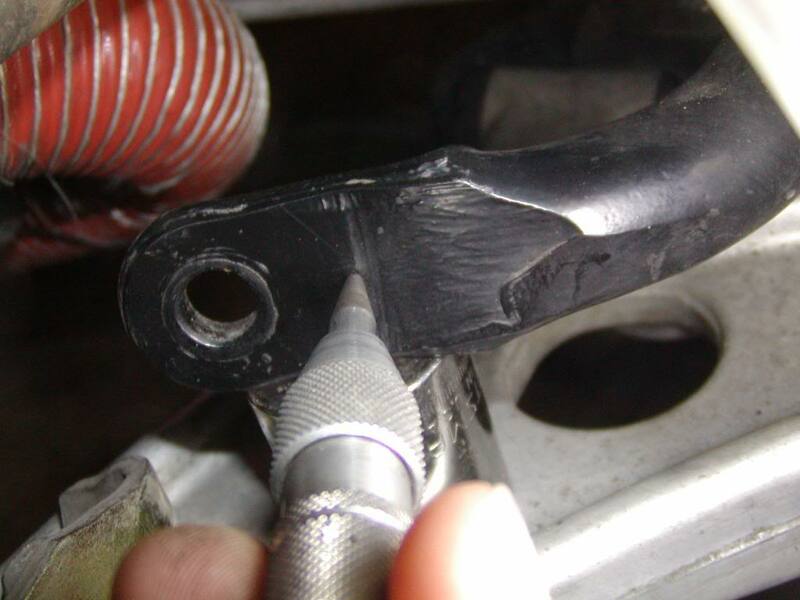 Doing a search showed that one side required a lot of work to get the bushing in. 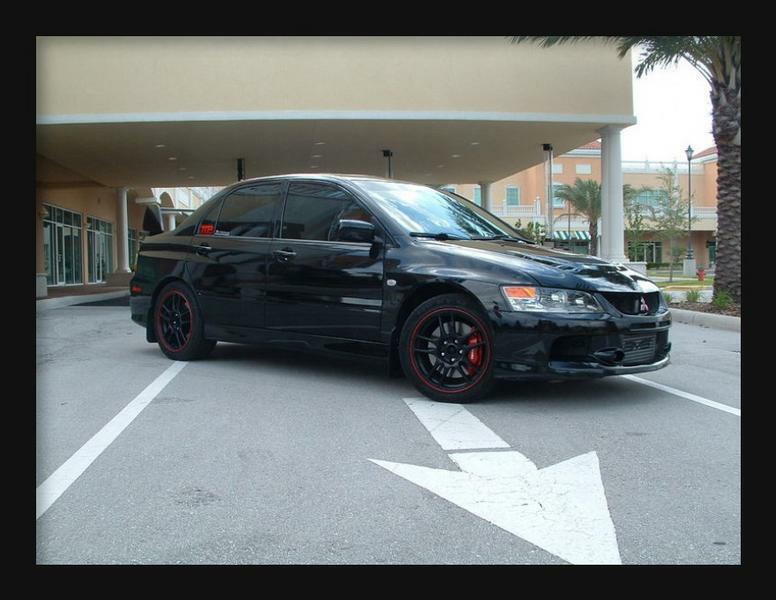 looks like a nice cheap mod... What would this do for handling if you didn't have a rear bar? I think i will be picking up the whiteline 24mm rear so i may have to do this! I did this OEM front swaybar mod a while back, but I wanted to actually drive the car at the track before I posted my impressions. Now that I've tried it, my opinion is that it's worth doing, but don't expect a night and day difference. I feel it's an easy way to limit roll at the front end, and unless you're running high spring rates (at least 600#/in up front), you could probably use more front bar to keep your roll center under control. And, I figure even $30 worth of drill bits is definitely cheaper than a $150 swaybar. 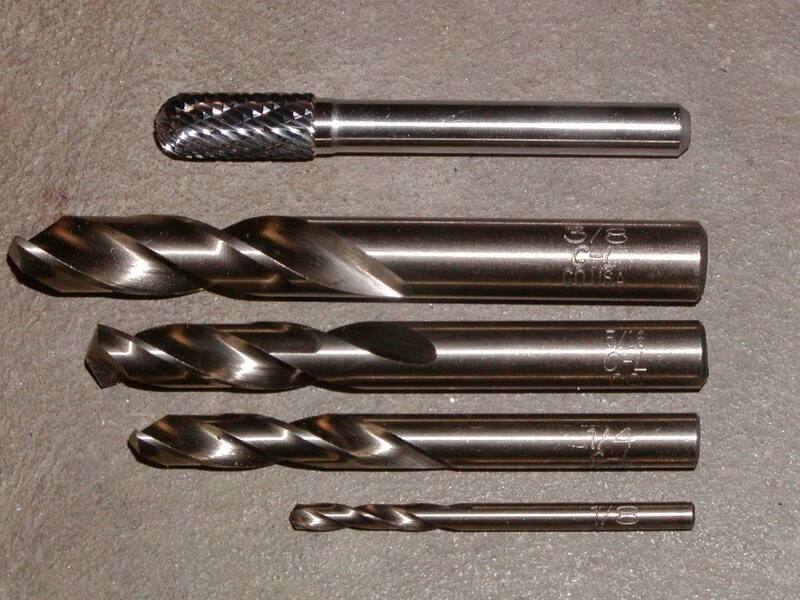 Based on the info earlier in this thread, I decided to order a bunch of cobalt drill bits (in a range of sizes from 1/8" up to 3/8") as well as a 5/16" diameter carbide burr from McMaster-Carr... having spent a lot of garage time in the past being frustrated cutting or drilling with inadequate tool bits, I wanted the best shot at minimal issues getting through the swaybar material. Drilling the front bar did take some time, even with a full assortment of cobalt drill bits from McMaster-Carr... I used 1/8", 1/4", 5/16", and 3/8". 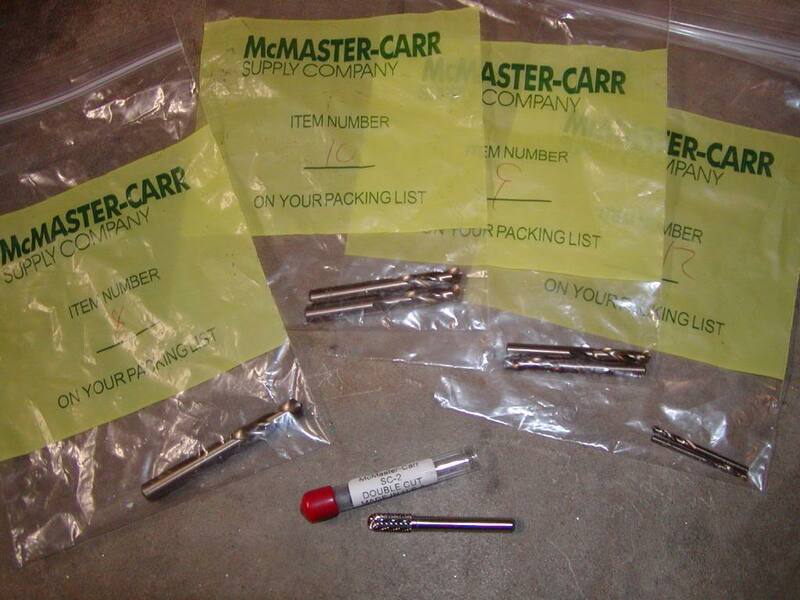 If I were to do this again, I'd probably pass on buying the 3/8" cobalt bit... that was over $7 by itself, and I had to rely on the 5/16" carbide burr to get the holes opened up to a full 3/8" anyway. The first side took about an hour, with a lot of careful eyeballing and rechecking throughout the process, and the second side maybe 30 minutes. I was able to move the endlink mounting hole about 13/16" to 7/8" inboard on both sides. That's probably as far as you can go; I wanted maximum increase in bar rate. 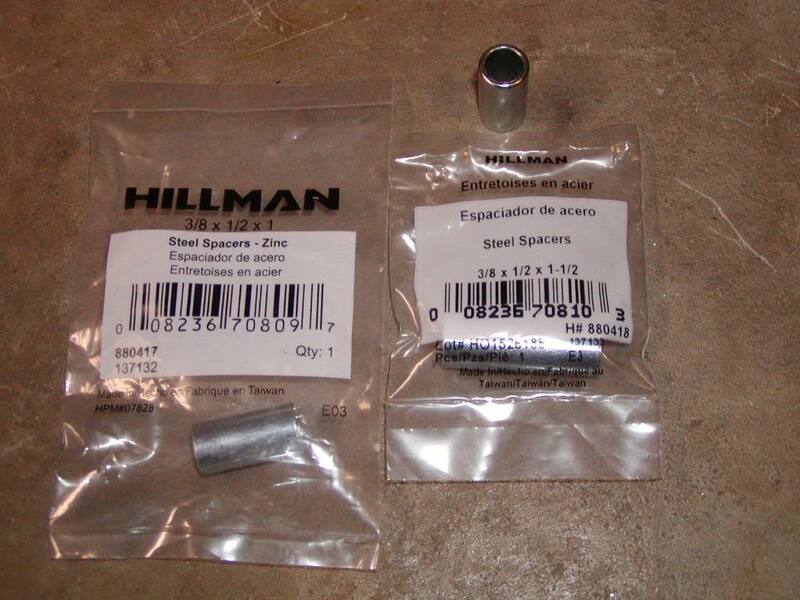 These are cheaper than the commercially-available endlinks from Whiteline, Agency Power, and Perrin (typically $115-120/pair X 2, whereas the components for building all four endlinks from McMaster-Carr/Pegasus parts are about $130 total). 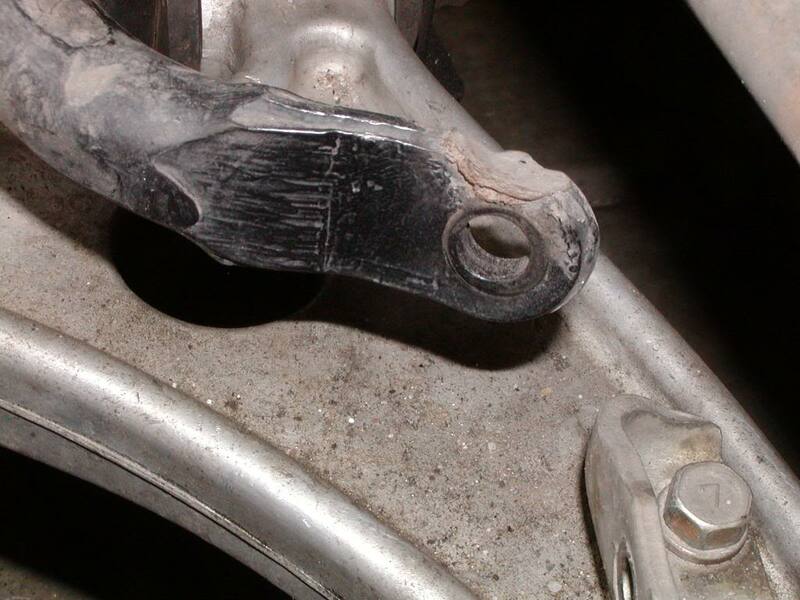 Another big plus: replacement spherical bearings are readily available, should any of the balljoint ends seize up. 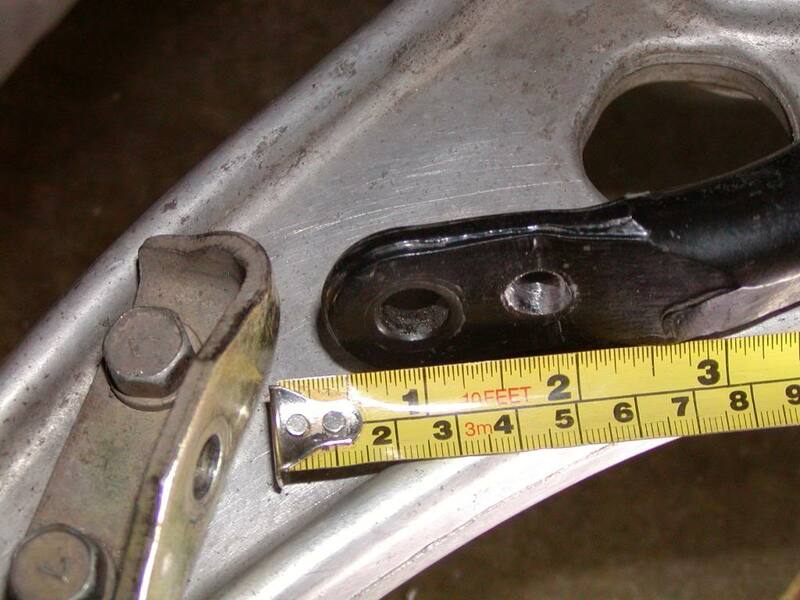 I realize that having the endlinks acting on the ends of the bolts 3/4" to 1" away from the actual attachment points is not ideal. 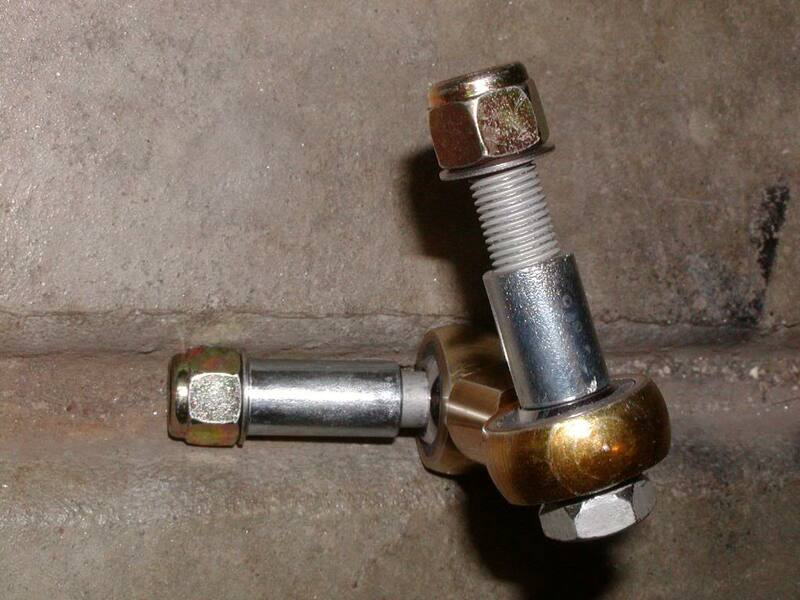 However, after recent a track day where I beat on the car for about 110 miles on course - on fairly wide R-comp tires - the bolts are still perfectly straight. 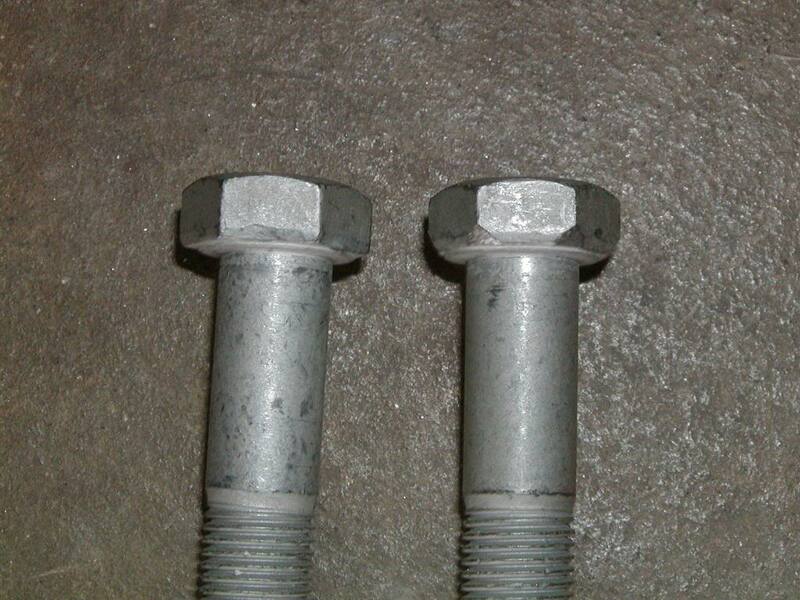 So far, seems like the bolts are strong enough. 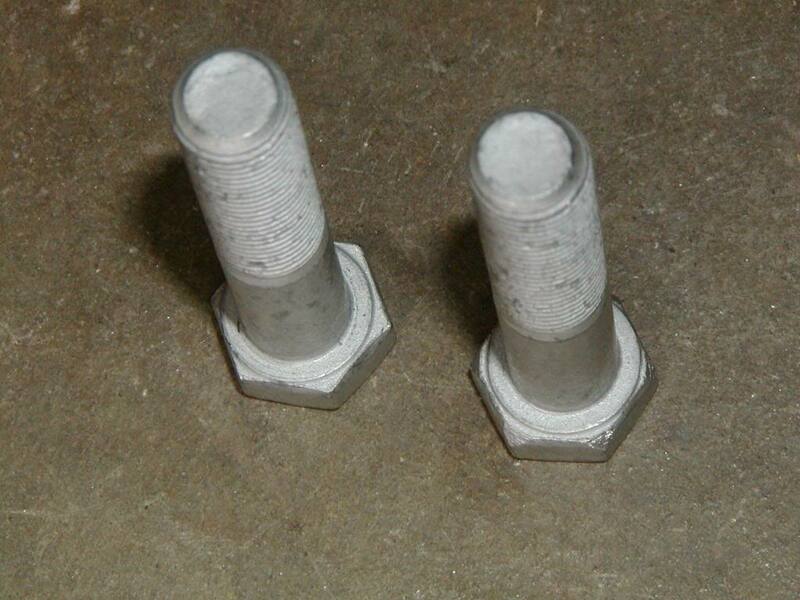 I may have to upgrade the bolts to higher strength versions once I start autocrossing on Hoosiers A6s though, as the loads from left to right might be higher than on the road course. 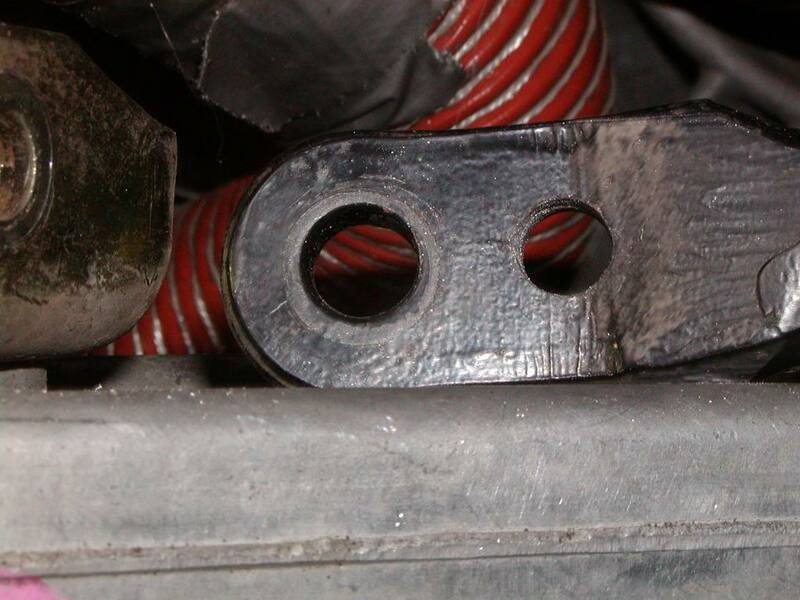 The best solution for the front would be to replace those gold-colored OEM 90-degree brackets to the aluminum LCA with new custom brackets that locate/align the endlink exactly where it needs to be so the spacers aren't necessary. Did the mod today and thanks to the warnings of those who did it before, my experience was completely trouble free. I used a $50 dollar Bosch electric drill, some lubricating/cutting wax, and a single good bit and did both sides in less than 25 minutes. Car is not together yet so I can't comment on how it works, but will let you all know as soon as I can. I'd like to know what kind of Bosch drill you used, or what anybody recommends. Also I got the Diy endlinks,and was wondering if you where gonna put any boots around the joint area, or just keep lube, and clean em every once in awhile. Doing this friday. Got an autoX event sunday so we'll see how it goes. 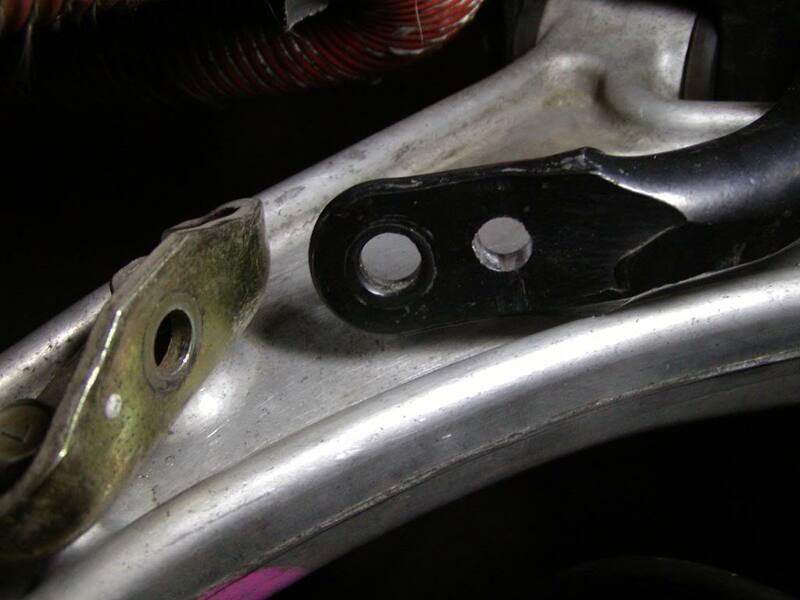 This is great info it makes me want to modify my whiteline front sway bar. 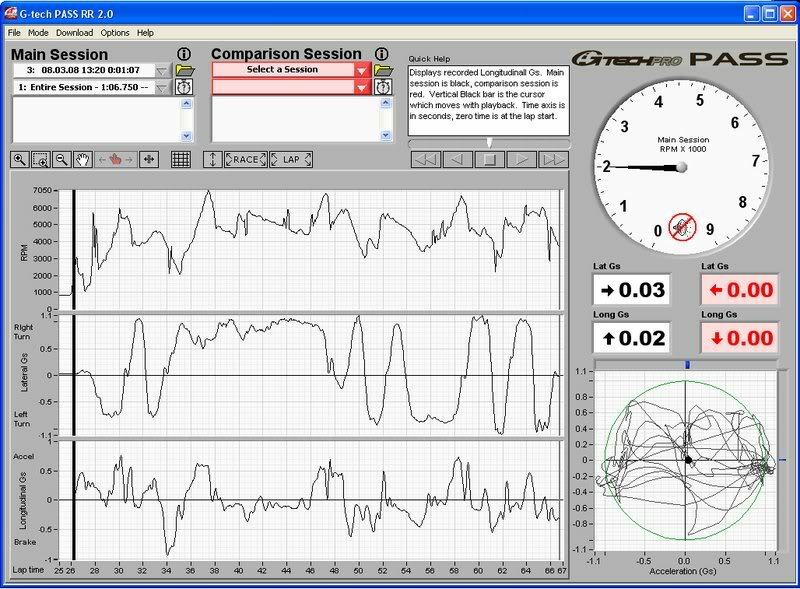 I just instructed a track day with the bar modded vs standard position back to back and the car felt totally different. If you are looking for a cost effective way to add some front grip this is the way to go. Rotation in is very managable and it actually helps the rear not to snap rotate (on whiteline race on mid setting). A+ and still holding up with the oem endlink for over 9K miles now. 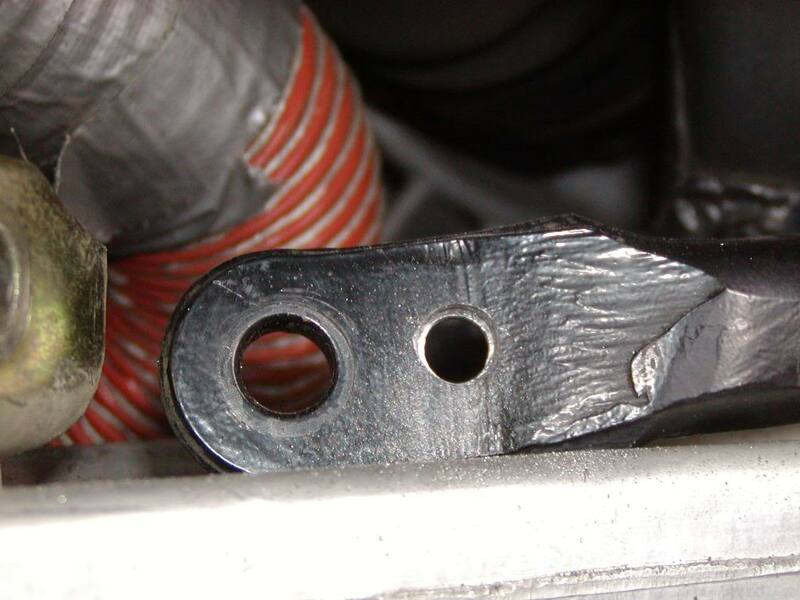 What's the reason for removing the tie rod from the spondle? Just more access? 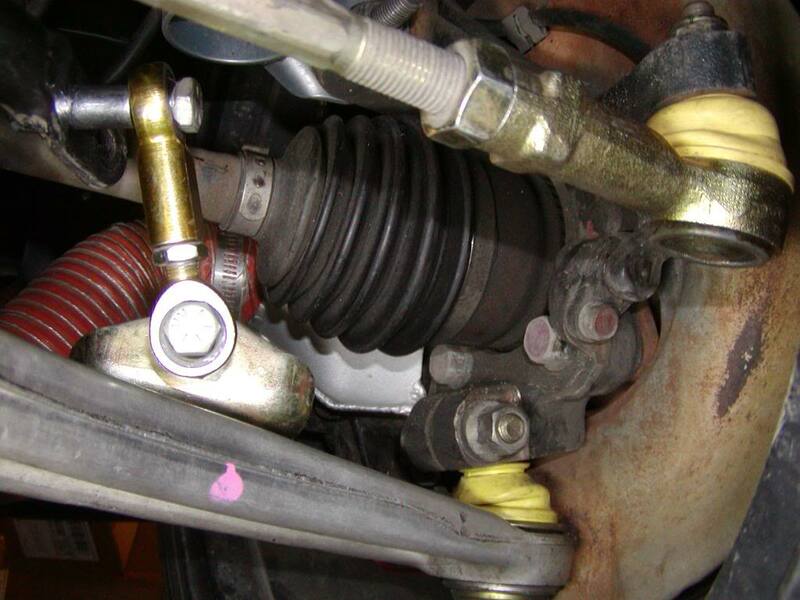 Has anyone done this while keeping the tie rods connected? 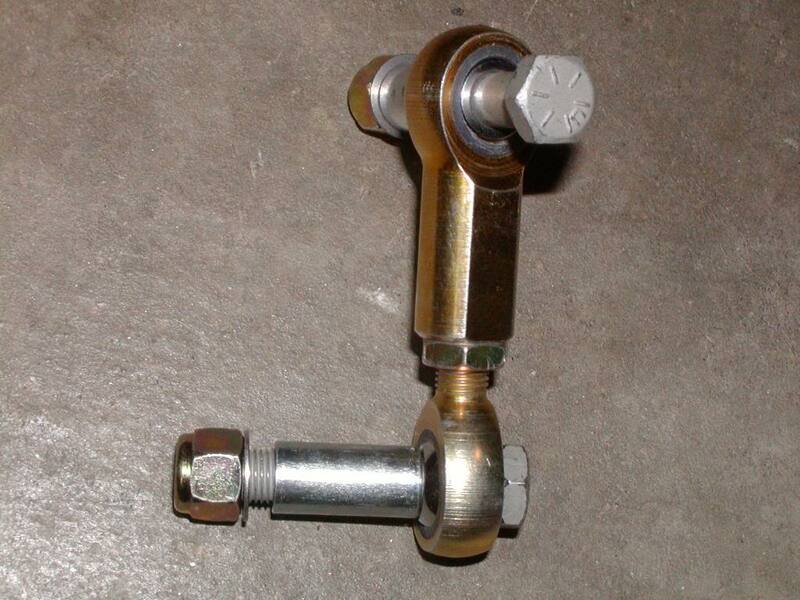 ^That would be correct but you do not have to remove the tie rod. 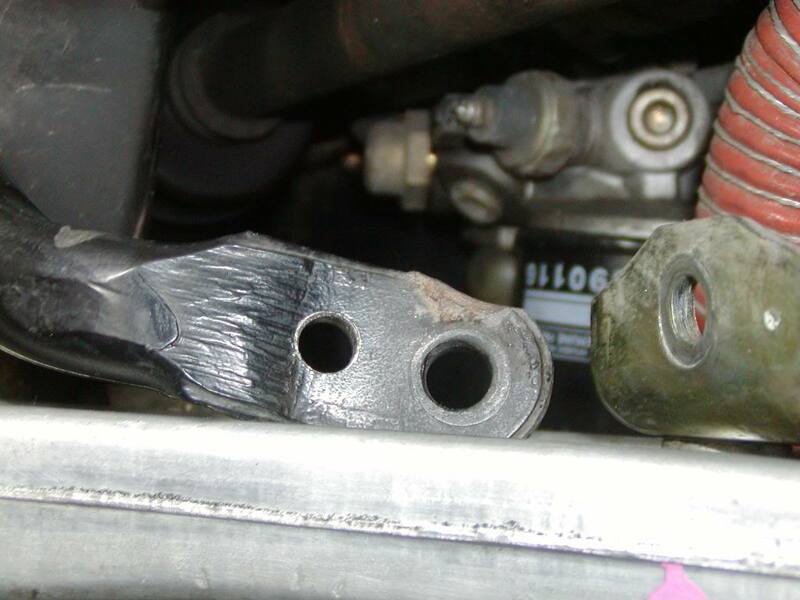 I just unbolted both end links and then that allowed me to swing the sway bar up a little and I had ample room to drill it. As others stated pick up a good bit and you'll have no problem getting through it. I thought I was going to be drilling forever but it ended up taking me <1 hour from start to finish. Okay...so it's doable without touching the tie rods. 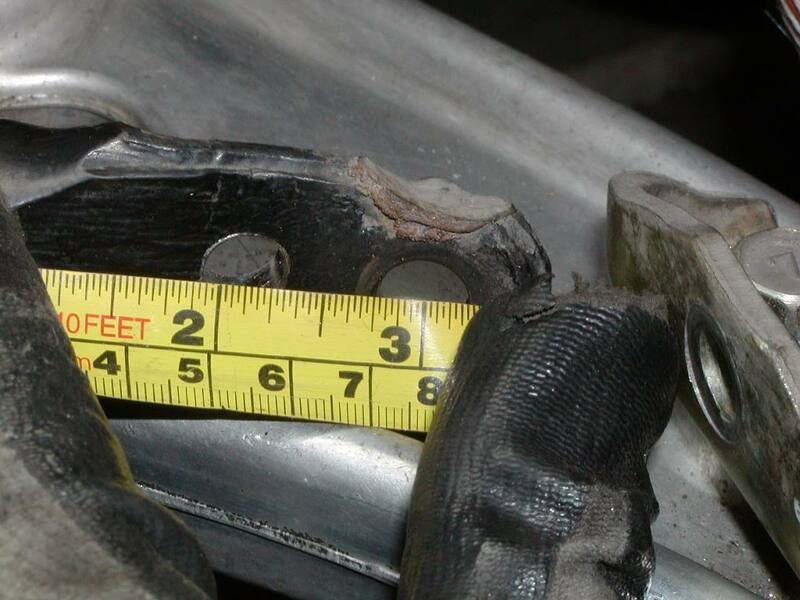 As far as jacking the car, the original direction in 1st post say jack at control arms. 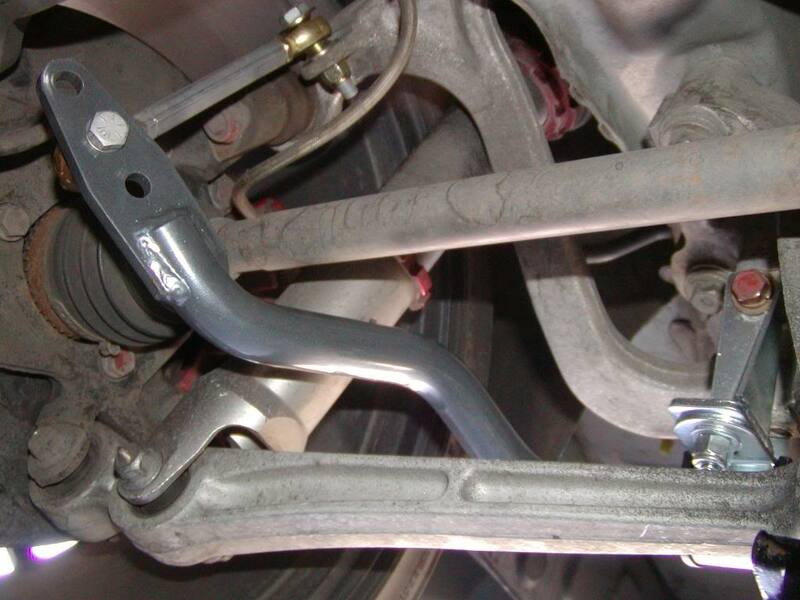 do you really have to jack or support it at the control arms? Or jack strands at the jacking points is fine? Yeah did mine without touching the tie rods. Not really sure what he meant by supporting the LCA with the jack. 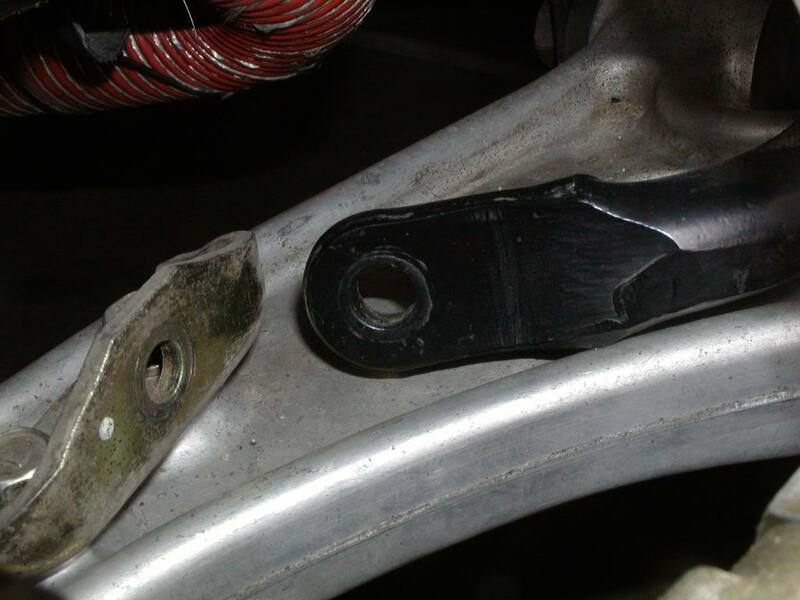 My best guess is bc he removed the tie rod that helped to support the knuckle? 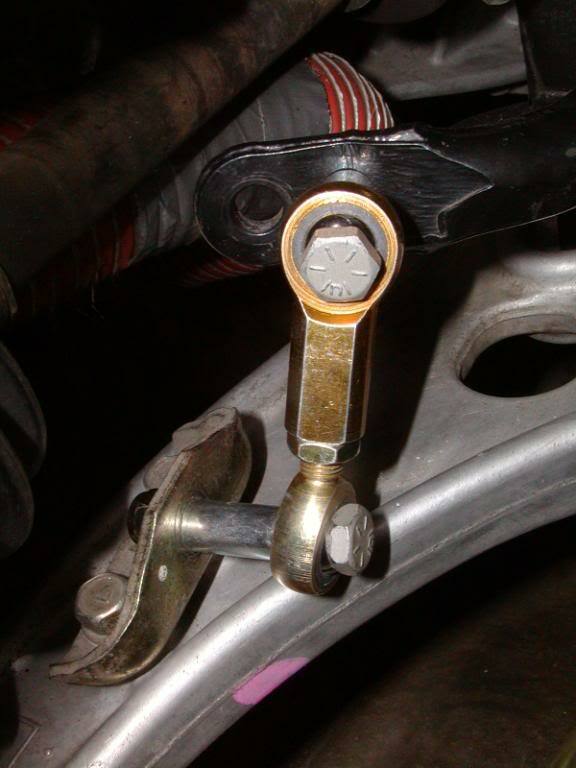 Quick Reply: Make your front sway bar adjustable.